Wed., 19 Feb. - Wed., 26 Feb.
Wed., 19 Feb. - Sun., 1 Mar. Sun., 23 Feb. - Sun., 1 Mar. Wed., 19 Feb. - Thu., 27 Feb. Tue., 31 Dec. - Wed., 15 Jan.
Wed., 19 Feb. - Fri., 28 Feb. Sun., 26 May - Wed., 19 Jun. Fri., 18 Oct. - Wed., 23 Oct.
See all 1,955 properties in Norman Manley Intl. 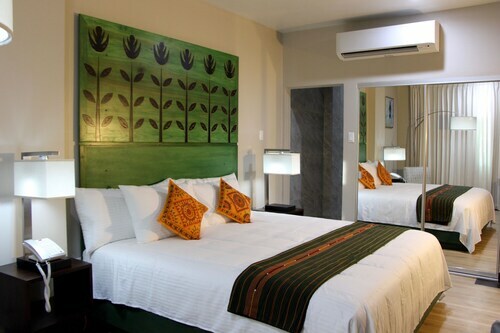 Located in the heart of Kingston, this luxury hotel is within a 15-minute walk of Peter Tosh Museum, Devon House, and Emancipation Park. Bob Marley Museum is 1.2 mi (1.9 km) away. 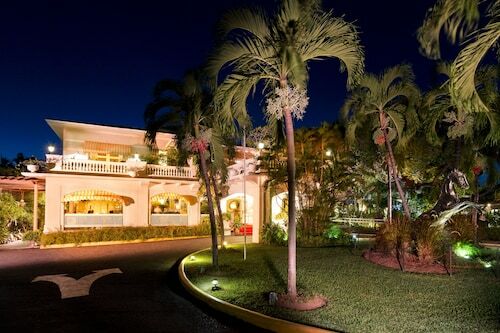 Located in the heart of Kingston, this hotel is within a 5-minute walk of Sunshine Amusement Complex and Emancipation Park. Devon House and Bob Marley Museum are also within 2 mi (3 km). 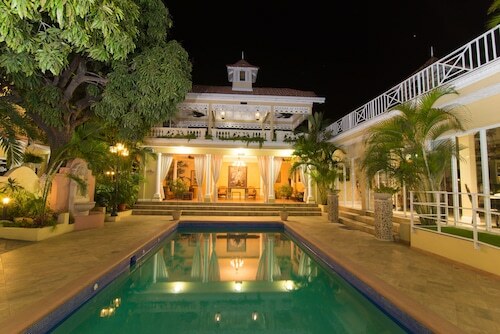 Located in the heart of Kingston, this resort is within 2 mi (3 km) of Devon House, Little Theater, and Bob Marley Museum. National Stadium and National Gallery of Jamaica are also within 6 mi (10 km). 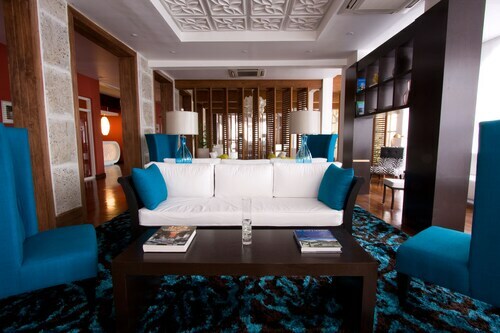 Situated in Kingston, this spa hotel is within 1 mi (2 km) of Independence Park, Bob Marley Museum, and Devon House. Emancipation Park is 1.2 mi (2 km) away. Situated on the boardwalk, this hotel is 0.4 mi (0.7 km) from Fort Charles and within 16 mi (25 km) of Jamaica Conference Center and African-Caribbean Heritage Centre. National Gallery of Jamaica and Coke Memorial Hall are also within 16 mi (25 km). 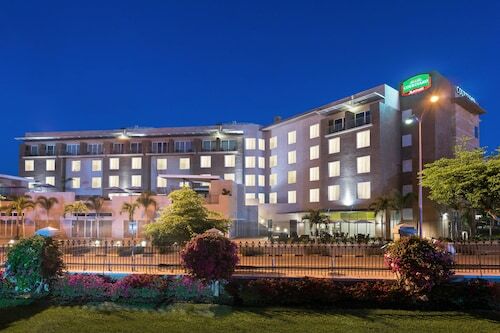 Situated in Kingston, this hotel is within 1 mi (2 km) of Centre Stage Theatre, Emancipation Park, and Devon House. Bob Marley Museum is 1.6 mi (2.6 km) away. 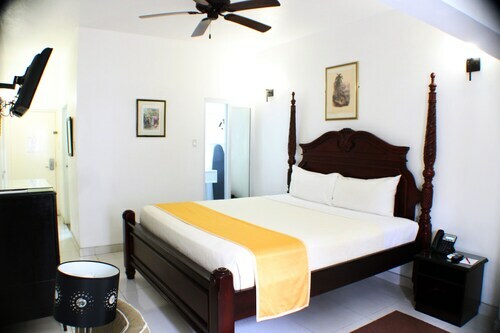 Situated in Kingston, this hotel is within 1 mi (2 km) of Devon House and Bob Marley Museum. Little Theater and National Stadium are also within 2 mi (3 km). 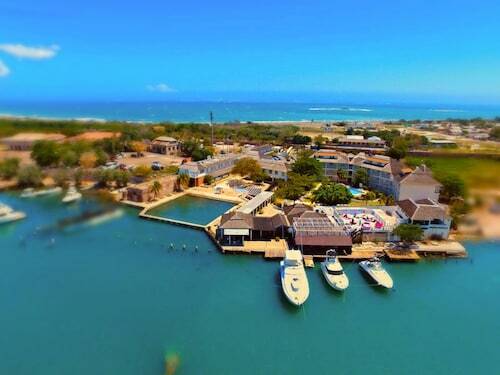 Situated in Kingston, this resort is within 1 mi (2 km) of Tropical Plaza, Devon House, and Bob Marley Museum. Emancipation Park is 1.5 mi (2.4 km) away. I would have like to have some kind of free snack offered for this 4 hour flight and not juice drinks. Wish my 6ft 3 husband had a more comfy seat. We love wedtjet! The plane did not have any charging ports. Was not able to connect to wifi Caribbean Airlines app is wonky. I enjoyed the flight, the pilot was so informative and easy to listen to throughout the flight OMG they should’ve him do a seminar on his style of customer service. All passeanrrs loved the sense of humour and efficiency of the flight attendants. The armrest of my seat was broken and the surrounding area of seat was extremely dirty with lots of stains. Plane seemed really old.